CBS’ politically charged Murphy Brown reboot limped into view Thursday night, particularly among advertiser-coveted 18-to-49-year-olds. Airing at 8:30 p.m. opposite Fox’s first Thursday Night Football game, Murphy drew 170,930 total D-FW viewers, but just 15,603 in the key 18-to-49 demographic. It was the night’s least-watched attraction among 18-o-49-year-olds in the Big Four broadcast network universe. Fox’s Los Angeles Rams-Minnesota Vikings shootout led all prime-time programming in both total viewers (327,617) and with 18-to-49ers (131,065). The NFL Network’s simulcast averaged about one-quarter of those audiences. Thursday’s daytime hours were dominated by live coverage of the she said/he said Senate judiciary committee hearing on allegations that Supreme Court nominee Brett Kavanaugh had sexually assaulted Christine Blasey Ford while both were in high school. Fox News Channel easily drew the largest viewership among the cable news and broadcast networks bringing the hearing home. FNC’s audience peaked at 227,907 total viewers for portions of Kavanaugh’s afternoon rebuttal. In Wednesday’s prime-time Nielsens, ABC’s premieres of two new series -- Single Parents and A Million Little Things -- had rough starts in the 8:30 to 10 p.m. slot. Single Parents had 121,076 total viewers before Million Little Things dipped a bit to 106,832. Both landed in last place during those 90 minutes among the Big Four broadcast networks. Fox/Fox4 and NBC otherwise battled it out. Fox’s season premiere of Empire won the 7 p.m. hour, with 213,663 total viewers while NBC’s Chicago Med ran a close second (206,541). NBC’s Chicago PD then thumped Fox’s Star at 8 p.m. with a night’s best of 235,029 viewers before Fox4’s 9 p.m. local newscast and NBC’s Chicago PD tied for the top spot with 213,663 viewers apiece. Among 18-to-49-year-olds, the golds went to Empire, the final half-hour of CBS’ 90-minute Survivor and an expanded season finale of CBS’ Big Brother. Single Parents and Million Little Things both ran third in their time slots among 18-to-49ers. NBC’s Chicago trilogy skewed old throughout the night with fourth place finishes across the board in the 18-to-49 realm. Wednesday -- NBC5 drew the most total viewers at 10 p.m. while Fox4 ran first with 25-to-54-year-olds (main advertiser target audience for news programming). Fox4 again notched twin wins at 6 a.m. and the Peacock did likewise at 5 p.m. NBC5 also had the most total viewers at 6 p.m. and shared the 25-to-54-year-old lead with TEGNA8. Thursday -- NBC5 swept the 10 p.m. competitions and Fox4 did likewise at 6 a.m. The 5 p.m. and 6 p.m. newscasts for the most part were superseded by the Kavanaugh/Blasey Ford hearings. The new season returns of CBS’ NCIS and NBC’s This Is Us led all prime-time programming Tuesday in the audience demographics each was expected to carry. NCIS amassed the most total D-FW viewers (391,716) while This Is Us was tops with advertiser-coveted 18-to-49-year-olds (68,653). The 8 p.m. premiere of CBS’ FBI otherwise handily whipped the competing This Is Us in total viewers by a score of 313,372 to 227,907. At 9 p.m., CBS’ NCIS: New Orleans (327,617 total viewers) comfortably won over the first episode of NBC’s New Amsterdam (249,274). ABC’s 7 to 9 p.m. edition of Dancing With the Stars, which is showing signs of being on its last legs, beat only Fox’s Gifted in the 7 p.m hour before Fox’s Lethal Weapon punched DWTS into last place among the Big Four broadcast networks from 8 to 9 p.m. In the 18-to-49-year-old motherlode, NBC’s The Voice won from 7 to 8 p.m. with 56,171 viewers before Fox4’s 9 p.m. local newscast rose up to win that hour with 59,291. DWTS ran fourth across the board from 7 to 9 p.m. with just 18,724 viewers in this key demographic. CBS11 took the top spot in total viewers at 10 p.m. while NBC5 ran first with 25-to-54-year-olds (main advertiser target audience for news programming). Fox4 again routed the competition with twin wins at 6 a.m., where it hasn’t lost a single week day since Good Friday. The 5 and 6 p.m. wins in total viewers went to NBC5, with Fox4 taking both firsts among 25-to-54-year-olds. The new TV season officially fired up Monday night, with NBC’s new Manifest, CBS’ new version of Magnum, P.I. and old reliable Monday Night Football all scoring well. Even so, CBS’ returning comedy tandem of The Big Bang Theory and Young Sheldon finished one-two in D-FW total viewers with hauls of 356,105 and 334,739 respectively. MNF’s high octane Pittsburgh Steelers-Tampa Bay Bucs matchup ranked third in total viewers with an average of 313,372, but easily led all prime-time programming among advertiser-prized 18-to-49-year-olds (149,789). At 9 p.m., the premiere of NBC’s Manifest nipped CBS’ competing Bull by a score of 284,884 viewers to 277,762. Fox4’s local newscast placed third while ABC’s season two premiere of The Good Doctor lagged in fourth. Among 18-to-49-year-olds in the Big Four broadcast network division, Big Bang won from 7 to 7:30 p.m. before Young Sheldon fell just a bit short of the 7:30 to 8 p.m. slice of The Voice. 9-1-1 took over from 8 to 9 p.m. and, other than Monday Night Football, had the night’s most 18-to-49-year-olds with 96,739. The 9 p.m hour then went to Manifest with 68,653 viewers in the 18-to-49 realm. Good Doctor again ran fourth. OK, let’s conclude as always with the four-way local news derby results. Fox4 came within one win of a rare double grand slam. The station won at 6 a.m. and 5 and 6 p.m. in both total viewers and with 25-to-54-year-olds (main advertiser target audience for news programming). The 10 p.m. first among 25-to-54-year-olds also went to Fox4, but NBC5 blocked the station’s path to total dominance with a 10 p.m. win in total viewers. NBC’s America’s Got Talent had its latest season-ending performance show Tuesday night, and nothing else could touch it. Airing in its usual 7 to 9 p.m. slot, AGT pulled in prime-time’s biggest hauls in both total D-FW viewers (320,495) and in the advertiser-coveted 18-to-49-year-old demographic (74,894). That’s an old “skew” in terms of younger viewers, but still an easy winner. Fox4’s local 9 p.m. newscast then took over, winning the hour with 192,297 total viewers and 43,688 in the 18-to-49 age range. Fox4 had a big day and night with sweeps of the 10 p.m. and 6 a.m. competitions in both total viewers (barely ahead of CBS11) and with 25-to-54-year-olds (main advertiser target audience for news programming). Fox4 also drew the most 25-to-54-year-olds at both 5 and 6 p.m. while NBC5 won among total viewers at those hours. The 6 p.m. race in total viewers was a tight one, with all four stations bunched together. Relocated to Monday night in deference to NBC’s Sunday Night Football, the 70th annual prime-time Emmy awards were still outdrawn by -- football. ESPN’s package of NFL games isn’t as potent as the Peacock’s marquee Sunday night match-ups. But ESPN’s Chicago Bears-Seattle Seahawks clash on Monday Night Football still prevailed with 306,250 total D-FW viewers and 137,306 within the advertiser-prized 18-to-49-year-old age range. NBC’s 7 to 10 p.m. Emmy presentation, hosted by Saturday Night Live’s Michael Che and Colin Jost, ranked as prime-time’s runner-up attraction with 220,785 total viewers and 90,497 in the 18-to-49 realm. The 2017 Emmys on CBS, which had to go against a potent Green Bay Packers-Atlanta Falcons matchup on NBC as well as the final 40 minutes of a lightning delayed Dallas Cowboys-Denver Broncos game on Fox, nonetheless finished slightly ahead in total viewers (225,404) and a bit behind among 18-to-49ers (83,385). In 2016, ABC’s telecast of the Emmys drew 262,049 total viewers and 95,271 in the 18-to-49 measurement. The rival broadcast networks mostly curled up into a ball with reruns opposite Monday night’s 2018 Emmys. Fox was the exception, offering a cheesy Charles Manson expose that had 71,221 total viewers and just 12,482 within the 18-to-49 demographic. Fox4’s 9 p.m. local newscast then pole-vaulted to 156,686 total viewers, with 43,688 in the 18-to-49 motherlode. Fox4 and NBC5 are starting to get accustomed to splitting all the spoils, which they did again on Monday. NBC5 won at 10 p.m. in total viewers and swept the 5 and 6 p.m. races in both that measurement and with 25-to-54-year-olds (main advertiser target audience for news programming). Fox4 won among 25-to-54-year-olds at 10 p.m. and again ran the table at 6 a.m.
NBC5’s Cory Smith, who’s anchored on weekends and reported three days a week, will be leaving the station earlier than previously announced to join the staff of WRC-TV in Washington, D.C.
“It’s bittersweet,” he told unclebarky.com. “This job has literally been a dream come true, so I’m sad to leave my newsroom family here in DFW, but I’m happy to be staying within the NBC family. Both Fort Worth’s NBC5 and WRC are owned and operated by NBC. NBC5’s former news director Mark Ginther, said at the time that Smith would be leaving for “family reasons.” His replacement, Laura Harris from ABC affiliate WFTS-TV in Tampa Bay, FL, was named in tandem with the news that Smith would be leaving. 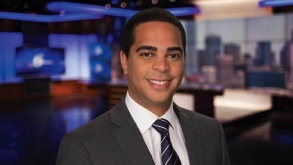 He joined NBC5 in December 2015. The Press Club of Dallas also had named Smith as the organization’s incoming president. But that position now will go to Paul Wahlstrom, who also was president from 2011 to 2012. Dallas-based Fox4 has taken some heat, both locally and nationally, for an ill-considered tweet that was posted on Sept. 13th, and remains up as of this writing. “DEVELOPING,” it read on the official Fox4 news twitter feed. “Marijuana found in Botham Jean’s apartment after deadly shooting.” The reference is to the young man who was shot and killed in his apartment by Dallas police officer Amber Guyger. Jean is black and the officer is white. The Fox4 tweet linked to a far more complete story headlined, “Lawyers ‘disgusted’ by release of search warrant showing marijuana found in Botham Jean’s apartment.” But the tweet implied, to some, that Botham Jean somehow deserved his fate. On CNN’s Sunday morning Reliable Sources program, host Brian Stelter termed it a “terrible tweet.” CNN’s senior media reporter, Oliver Darcy, joined him at the show’s anchor desk to concur with that assessment. Darcy said he phoned Fox4 and was told that the station’s news director, Robin Whitmeyer, would get back to him. That never happened, he said, which should come as no surprise. As unclebarky.com has reported a number of times, all inquiries about Fox4 are directed to the station’s corporate spokespersons in New York City. And the stated policy coming from that distant venue is that Fox4 does not respond to questions about either editorial decision-making or internal personnel matters, other than to announce new hirings or acknowledge without further comment that someone has left the station. Although still leaving the offending tweet in place, Fox4 later posted another tweet reading, “Assassinate the character after they assassinate his person.” Lawyers for Botham Jean’s family say they are disgusted by the search warrant issued after Jean’s shooting by (sic) the hands of a Dallas police officer.” Both tweets link to the same story. Neither tweet has a Fox4 staffer’s name attached. But sources tell unclebarky.com that it was posted by a Hispanic member of the station’s social media team. It’s relevant to note this in light of the racially charged atmosphere involving the shooting of a black man by a white police officer. A group of protestors supporting Botham Jean gathered outside Fox4’s downtown Dallas offices Friday night to demand justice and fair coverage. They also assembled at two other media venues, TEGNA8 and The Dallas Morning News. Media companies for the most part remain notoriously non-transparent when questioned about their own decisions. Fox4 is no different than many, which in this particular case is very bad form. The NFL Network had sole rights to the Cincinnati Bengals-Baltimore Ravens matchup Thursday night, and took advantage by leading all TV attractions in the two major ratings food groups. Bengals-Ravens averaged 199,419 D-FW viewers and 106,100 within the advertiser-coveted 18-to-49-year-old age range. The latter number, which is more than half the audience, will please the NFL. Dallas Cowboys games generally fall well short of the 50% mark in this key demographic. But again, the bigger the overall audience, the harder it is to hit that 18-to-49 sweet spot. In the Big Four broadcast network arena, Fox4’s 9 p.m. local newscast led in total viewers with 185,175 while CBS’ Big Brother finished a runaway No. 1 among 18-to-49ers (71,774). For the second straight day, the only winners were Fox4 and NBC5. Fox4 controlled the 10 p.m. and 6 a.m. competitions in both total viewers and with 25-to-54-year-olds (main advertiser target audience for news programming). NBC5 ran the table at 5 and 6 p.m.
LOCAL TV PROGRAMING NOTE -- D-FW’s NBC5, in partnership with Southern Methodist University, has landed the first of three scheduled U.S. Senate debates between Republican incumbent Ted Cruz and Democratic challenger Beto O’Rourke. Originating from the SMU campus and airing on NBC5, the one-hour debate will be moderated by NBC5’s Julie Fine and The Dallas Morning News’ Gromer Jeffers. Showtime is on Friday, Sept. 21st from 6 to 7 p.m., with a repeat airing on Sunday, Sept. 23rd at 8 a.m. Get your popcorn or donuts ready. NBC’s America’s Got Talent as usual set Tuesday’s prime-time pace in total viewers, but ABC’s competing Bachelor In Paradise seduced the most advertiser-prized 18-to-49-year-olds. AGT’s 270,640 was down from recent weeks, but still good enough. The second- and third-place finishers were CBS’ NCIS repeat (199,419 viewers) and Fox4’s 9 p.m. local newscast (185,175). Among 18-to-49ers, Bachelor In Paradise drew 53,050 to hold off runner-up AGT (46,809). Fox4’s 9 p.m. news again took the bronze with 34,317 viewers in this key demographic. CBS11 drew the most total viewers at 10 p.m. while Fox4 won among 25-to-54-year-olds (main advertiser target audience for news programming). Fox4 once again swept the 6 a.m. competitions, and hasn’t lost a single day in either measurement since Good Friday, March 30th, when TEGNA8 won by a sliver among 25-to-54-year-olds. Yes, that’s unprecedented. The 6 p.m. wins went to TEGNA8 in total viewers and Fox4 among 25-to-54-year-olds. At 5 p.m. NBC5 and TEGNA8 tied for the top spot in total viewers while Fox4 and NBC5 shared the 25-to-54-year-old lead. Slightly delayed by inclement weather, the Dallas Cowboys opened their 2018 season on Fox Sunday with a non-resounding 16-8 road loss to the Carolina Panthers. The ratings bottom line took a big hit, too. Airing from 3:35 to 6:37 p.m., Cowboys-Panthers averaged 1,132,414 D-FW viewers and drew 483,693 within the advertiser-coveted 18-to-49-year-old demographic. Last year’s opener, a 19-3 home win over the New York Giants on NBC’s Sunday Night Football, soared well above those numbers with 1,635,998 total viewers and 715,183 in the 18-to-49 realm. The Sunday Night Football stage generally adds a little heft. But Sunday’s Dallas-Carolina game also performed well below the 2016 opener, a 20-19 loss to the Giants that likewise aired from mid-afternoon to early evening on Fox. That game had 1,444,810 total viewers, with 600,207 of them 18-to-49ers. In prime-time Sunday, NBC’s Green Bay Packers-Chicago Bears game featured QB Aaron Rodgers re-emerging for the second half after being carted off for what appeared to be a serious injury. Trailing 20-0 when he re-took the field, a notably hobbled Rodgers led the Pack to a storybook 24-23 over the Bears that drew 519,913 total viewers and 227,804 in the 18-to-49 motherlode to easily pace the nighttime Nielsens. ABC’s competing Miss America competition, no longer labeled a pageant and for the first time without a swimsuit fest, drew just 85,465 total viewers from 8 to 10 p.m. while cratering even worse with 18-to-49-year-olds (12,482). In comparison, CBS’ 7 p.m. hour of Big Brother drew 87,377 viewers in the 18-to-49 measurement. On Saturday, ESPN’s down-to-the-wire Texas A&M-Clemson game on ESPN (won by the Tigers) led the college football parade with 313,372 total viewers. Oklahoma’s rout of UCLA on Fox ran a close second with 292,006 viewers. Thursday night’s NFL opener on NBC ended with the Philadelphia Eagles holding off the Atlanta Falcons in the final seconds, just as they did in last year’s post-season encounter. Delayed until shortly past 8 p.m. by threatening weather, the game averaged 541,280 total viewers in easily ruling the prime-time roost. Thursday -- Fox4 won a downsized three-way race at 10 p.m. in both total viewers and with 25-to-54-year-olds (main advertiser target audience for news programming). Fox4 again won the 6 a.m. hour in both measurements and also continued to dominate from 7 to 10 a.m. with Good Day. NBC5 swept the 5 p.m. competitions and also had the most total viewers at 6 p.m. Fox4 and the Peacock tied for the top spot with 25-to-54-year-olds at 6 p.m.
Friday -- Fox4 and NBC5 split all the spoils. The Peacock swept at 6 p.m. and Fox4 once again did likewise at 6 a.m. NBC5 drew the most total viewers at 10 p.m. while Fox4 had the most 25-to-54-year-olds. It was the same outcome at 5 p.m.. NBC5 was tops in total viewers and Fox4 won among 25-to-54-year-olds. Dan Haggerty, Cristin Severance and their twin sons, Will and Miles, as pictured on Dan’s Facebook page. They’re all leaving CBS11. 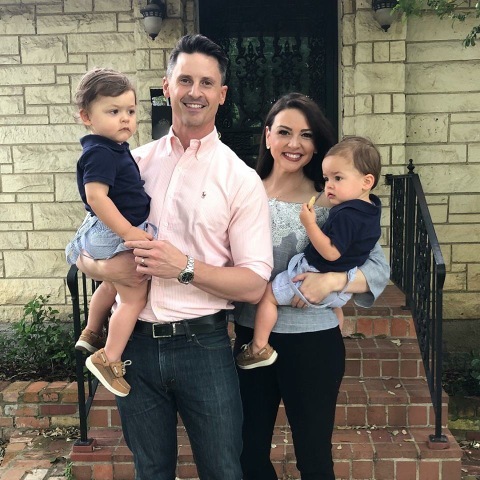 After joining D-FW’s CBS11 as a package deal three years ago, Dan Haggerty and Cristin Severance will be leaving together at the end of this month to be key players at Portland, OR’s KGW-TV. Haggerty said he’ll become the “main anchor” for KGW, the market’s NBC station. And Severance will join the station’s investigative unit. “We truly loved our time here, but the opportunity was too good to pass up,” Severance said in a separate message to unclebarky.com. Married in 2014, Haggerty and Severance joined CBS11 on September 21, 2015 from KGTV-TV, San Diego’s ABC affiliate. She has headed CBS11’s investigative unit and he’s anchored on weekends while also reporting three days a week. Their twin sons, Will and Miles, were born during the couple’s stay at CBS11. The staff of Morning Dose TV had to swallow some Castor Oil Thursday when owner Tribune Media Company announced it is canceling the program, effective Oct. 19th. Produced locally in CW33 studios and syndicated to several other stations, Morning Dose emerged on June 29th of last year after Tribune dropped Eye Opener. The program’s current co-anchors are Laila Muhammad and Jenny Anchondo, who soon will be without a station again after leaving D-FW’s Fox4 earlier this year and joining Morning Dose on April 23rd. Both shows had a carousel of anchors and hosts while trying to gain a foothold on weekdays from 5 to 8 a.m. Wednesday’s edition registered “hashmarks” (no measurable audience) in D-FW’s total viewers ratings. Allen also said that he’s available to anyone “looking for a utility player in their newsroom.” Besides TEGNA8, he also has worked at D-FW’s NBC5 and CBS11. Tribune also is axing NewsFix, which has been seen by next to nobody at 5:30 and 9 p.m. on CW33. Its demise will come earlier, with the last telecasts set for Friday, Sept. 14th. Summertime’s two hottest “reality-competition” commodities stayed that way Wednesday night. Squaring off as usual in the 7 p.m. hour, NBC’s America’s Got Talent paced all of prime-time in total D-FW viewers with 256,396. And CBS’ Big Brother drew more advertiser-prized 18-to-49-year-olds (71,774) than any other TV attraction. NBC’s World of Dance then won from 8 to 10 p.m. in both ratings measurements, but with lower returns than either AGT or BB. In daytime hours, Fox4’s downtown studios were rocked in the early morning hours when a pickup truck repeatedly slammed into the Griffin St. entrance before the driver scattered what looked to be thousands of leaflets detailing a grievance he was harboring. He was soon arrested, and no one was harmed. Fox4 reporter Brandon Todd, who also had been co-anchoring the 4 to 6 a.m. hours of the station’s expanded Good Day, particularly stood out with both his resourceful iPhone recordings of the incident and his overall composure. Fox4’s resultant and extensive live reports didn’t hurt Good Day’s ratings. The program again dominated all competition from 6 to 10 a.m. in both total viewers and with 25-to-54-year-olds (the main advertiser target audience for news programming). The 9 a.m. hour’s other local program, TEGNA8’s long-running Good Morning Texas, so far is taking the hardest hit from Good Day’s latest expansion. GMT ran fourth from 9 to 10 a.m. in total viewers, 25-to-54-year-olds and 18-to-49-year-olds (main advertiser target audience for entertainment programming. The gap with 25-to-54-year-olds was especially pronounced, with Good Day pulling in 50,002 viewers while GMT had a sub-puny 5,883. The second episode of the new Free4All, hosted by veteran sports anchor Mike Doocy while he awaits a co-anchor, again more than held its own from 10:30 to 11 p.m. opposite the first halves of late night talk shows on ABC, CBS and NBC. Free4All ran a close third in total viewers, beating ABC’s Jimmy Kimmel Live, but won the half-hour with both 25-to-54-year-olds and 18-to-49-year-olds. CBS11 ran first at 10 p.m. in total viewers while Fox4 and NBC5 tied for the top spot among 25-to-54-year-olds. Fox4 as usual ran the table at 6 a.m. and NBC5 scored a doubleheader win at 6 p.m. The 5 p.m. spoils went to the Peacock in total viewers and Fox4 in the 25-to-54-year-old demographic. Already rich in ratings from 6 to 9 a.m., Fox4’s Good Day took another bite out of its competitors’ bottom lines by dominating the 9 a.m. hour Tuesday in the program’s debut as a six-hour behemoth. Although falling off from its 8 to 9 a.m. showing, Good Day easily beat network programming on CBS and NBC, plus TEGNA8’s homegrown Good Morning Texas. In total viewers from 9 to 10 a.m., Good Day drew 85,465 in whipping CBS’ two episodes of Let’s Make a Deal (56,977), NBC’s Megyn Kelly (49,855) and GMT (21,366). Among 25-to-54-year-olds, the main advertiser target audience for news programming, the score was: Good Day (35,296), Megyn Kelly (11,765), Let’s Make a Deal (8,824) and GMT (2,941). And with 18-to-49-year-olds (the principal target zone for entertainment programming), Good Day also cruised with 24,965 viewers opposite 3,121 apiece for the other three attractions. Fox4’s locally produced Free4All, which also premiered Tuesday, did well opposite the first halves of late night network talk shows on ABC, CBS and NBC. Airing from 10:30 to 11 p.m. and hosted by longtime sports anchor Mike Doocy, Free4All drew 78,343 total viewers to trail CBS’ Late Show with Stephen Colbert (99,704), tie ABC’s Live with Jimmy Kimmel and beat NBC’s Tonight Show Starring Jimmy Fallon (56,977). Free4All outdrew all three of those shows in the 25-to-54-year-old demographic and tied Tonight for second place among 18-to-49ers, with Kimmel Live the winner and Late Show lagging in fourth place. Tuesday’s overall prime-time winner as usual was NBC’s America’s Got Talent, which pulled in 313,372 total viewers from 7 to 9 p.m. AGT likewise dominated in the 18-to-49 realm with 71,774 viewers. CBS11 won in total viewers at 10 p.m. and shared the top spot with Fox4 among 25-to-54-year-olds. Fox4 swept the 6 a.m. competitions and also ran first at 5 and 6 p.m. among 25-to-54-year-olds. TEGNA8 ranked No. 1 in total viewers at 6 p.m. while Fox4 and NBC5 shared the lead in that measurement at 5 p.m.
Jerry’s Palace, formally known as AT&T Stadium, remains a big drawing card in terms of D-FW ratings pulling power. Sunday night’s attraction, in which LSU soundly beat Miami on ABC, racked up the biggest numbers of the holiday weekend with 206,541 total viewers and 87,377 in the advertiser-coveted 18-to-49-year-old age range. NBC won Saturday night’s college football festivities with Notre Dame’s win over Michigan, which averaged 185,175 total viewers and 74,894 within the 18-to-49 realm. On Labor Day night, Fox4’s 9 p.m. local newscast drew the most total viewers in prime-time (170,930) while Fox4’s So You Think You Can Dance and ABC’s Bachelor In Paradise led all programming among 18-to-49ers with 49,930. In the four-way local news derby results, Fox4, NBC5 and CBS11 all “threw out” their 6 a.m. and 5, 6 and 10 p.m. editions by taking holiday exemptions throughout Labor Day. TEGNA8 didn’t do so, but with three of the four competitors out of the mix, we’ll move back to Friday’s contests. At 10 p.m., NBC5 nipped Fox4 in total viewers, but Fox4 won by a comfy margin with 25-to-54-year-olds (main advertiser target audience for news programming). Fox4 yet again swept the 6 a.m. races while also winning at both 5 and 6 p.m. in the 25-to-54 demographic. TEGNA8 ran first at 6 p.m. in total viewers, and Fox4 and NBC5 shared the top spot at 5 p.m. in that measurement.